Rare Waterbury No. 51 Regulator Clock, jeweler's regulator No. 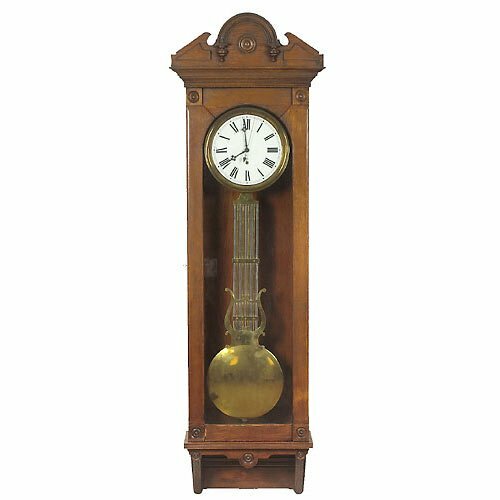 51, made by Waterbury Clock Company ca 1895, solid oak case with original glass. 8-day, pinwheel movement, wonderful original pendulum, hanging in jeweler's store in Wilmington, OH since purchased; 25.5" wide x 11" deep x 83" high.All original, including finish, EXC.